It is not clear from the leaked files for what condition the sisters were treated. Photo: Serena Williams during her Women's Singles Semifinal Match on Day Eleven of the 2016 US Open at the USTA Billie Jean King National Tennis Center on Sept. 8, 2016, in New York. Russian society has criticized the World Anti-Doping Agency after hackers Fancy Bears published confidential information belonging to the organization, in particular the details of U.S. athletes who had been granted permission to use various banned drugs for medical conditions. A wave of criticism of the World Anti-Doping Agency (WADA) has filled the Russian internet after a group of Russian hackers going by the name of “Fancy Bears” published information from the agency’s database on numerous cases of therapeutic use exemptions granted by the body to a number of U.S. athletes. Under therapeutic use exemptions (TUEs) an athlete may apply for official WADA authorization to take medicine included in the Prohibited List in order to treat a certain illness. Although Fancy Bears' hack was clearly aimed at American athletes, many Russian internet users exploded with indignation at WADA. As in the case of the controversial hack into the servers of the Democratic National Committee, the Kremlin categorically denies Russia's involvement in the hacking attacks on WADA. "It can be said unambiguously that there is no involvement whatsoever of Moscow officially, of the Russian government or any Russian agencies in such an act. This is completely ruled out," said (in Russian) Russian presidential press secretary Dmitry Peskov, commenting on rumours of Russian state involvement in the hacking. However, it is clear that WADA's reputation in Russia, which was already diminished in the eyes of many Russians after the doping scandal involving Russian Olympic and Paralympic athlete, has strongly suffered in the wake of the disclosed documents. "Again double standards? Someone just fell face first into the mud. Who was talking about ‘clean sport?’" wrote one user (in Russian) on Twitter. The stormiest discussion centered on WADA's decision to permit tennis players Serena and Venus Williams to use banned substances for verified medical needs. Although WADA's hacked files contain information about other athletes, the case with the Williams sisters engendered the most frustration among the Russian public. 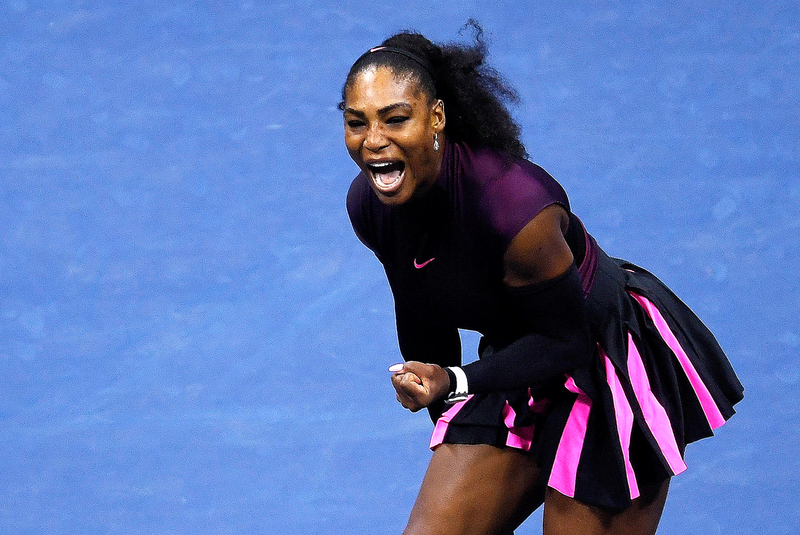 Serena had permission to take prednisolone, methylprednisolone, hydromorphone, oxycodone and prednosone, while Venus was allowed to take triamcinolone, prednisone, formoterol, and formoterol. It is not clear from the leaked files for what condition the sisters were treated, as their diagnoses are marked confidential and thus do not appear on the files. The permission to use TUEs, which WADA gave the Williams sisters, shocked many Russians since Russian tennis player Maria Sharapova had earlier received a two-year disqualification for using meldonium, a drug that was banned on Jan. 1, 2016. However, the key difference in the cases, which was ignored amid all the fuss, was that the athletes in question had followed official procedure and sought permission to use the drugs, unlike Sharapova or the Russian athletes banned from the Rio Olympics for doping. "I have the impression that we are dealing with invalids, because they are prescribed incredible combinations of potent drugs. Three of them are narcotics, for the distribution of which one can receive a long prison sentence both in Russia and in Europe,” he said. “Our ill-fated meldonium, which people have been speaking so much about, in comparison to these monster drugs is a helpless little sparrow. It is less potent than even vitamins," said Durmanov. Russian Foreign Ministry Spokeswoman Maria Zakharova jumped on the bandwagon, expressing herself in harsh terms on her Facebook page regarding the Williams sisters' case. "I would like to know their diagnosis. Perhaps Tarpischev shouldn't have apologized?" wrote (in Russian) Zakharova, referring to Russian Tennis Federation President Shamil Tarpischev, who had previously apologized for calling the Williams sisters "brothers." However, not all internet users appreciated Zakharova's statement, with some calling it "inappropriate." On Sept. 15, the Fancy Bears hackers released a new batch of documents containing similar information on a number of athletes from the U.S. and Europe, including one athlete from Russia, Mikhail “Misha” Aloyan, a Russian boxer who won silver in Rio. Commenting on the leak, Aloyan denied taking any banned substances, but acknowledged that he was under investigation.